There are only a few residents in my little community, but it is not without a pub. 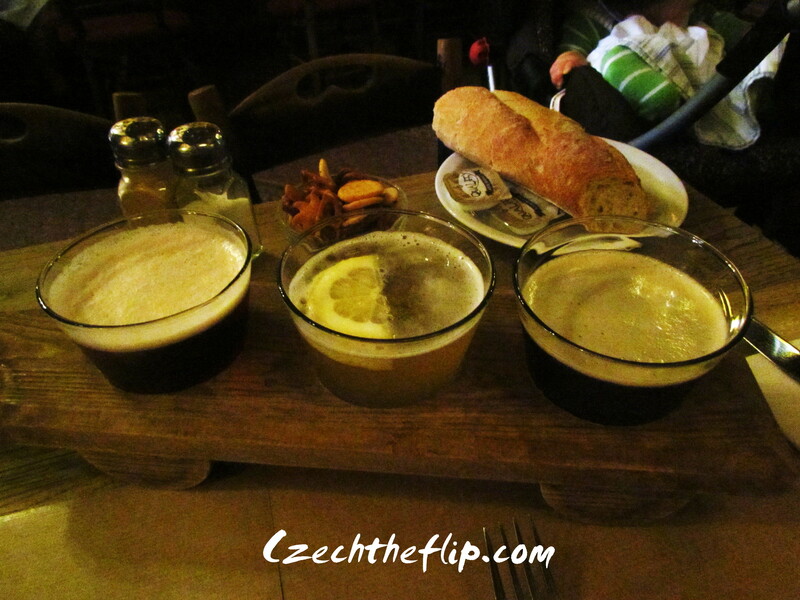 A pub is a very important part of a Czech settlement, because it is the home of the beer. And for those of you who are new to Czech and would like to meet a few people, it is the best place to go. One day, as my 3-year-old son and I were walking, he tried to drag me to the direction of the pub and told me: “Mommy, Čas na pivo” (time for beer). I was taken aback by this gesture and was thinking to myself: “where did he learn that phrase?” But it really doesn’t matter. He could’ve easily picked it up from the people around him. It just goes to show that beer is an integral part of Czech culture. Even a 3-year-old knows it. Playing with an empty beer bottle during our first few days here. In my opinion, there are 2 basic food items in this world that Czechs can’t live without: bread (chleba) and beer (pivo). I know this because if I don’t have these things at home, my Czech husband gets into a bad mood. I have learned my lesson. I need to have a steady supply of bread and beer at my home to prevent any unpleasant mood swings. During our big move from the US to Czech, we stopped by Brussels for 2 days to do a little sightseeing and slightly recover from the jetlag. Guess what my husband ordered in a Belgian restaurant. That’s right, a beer sampler. This fondness for beer is not only with men but also with women too. Beers come in different varieties, alcohol strength, and raw material source. And to cater to everyone’s “needs,” a beer can also be non-alcoholic. 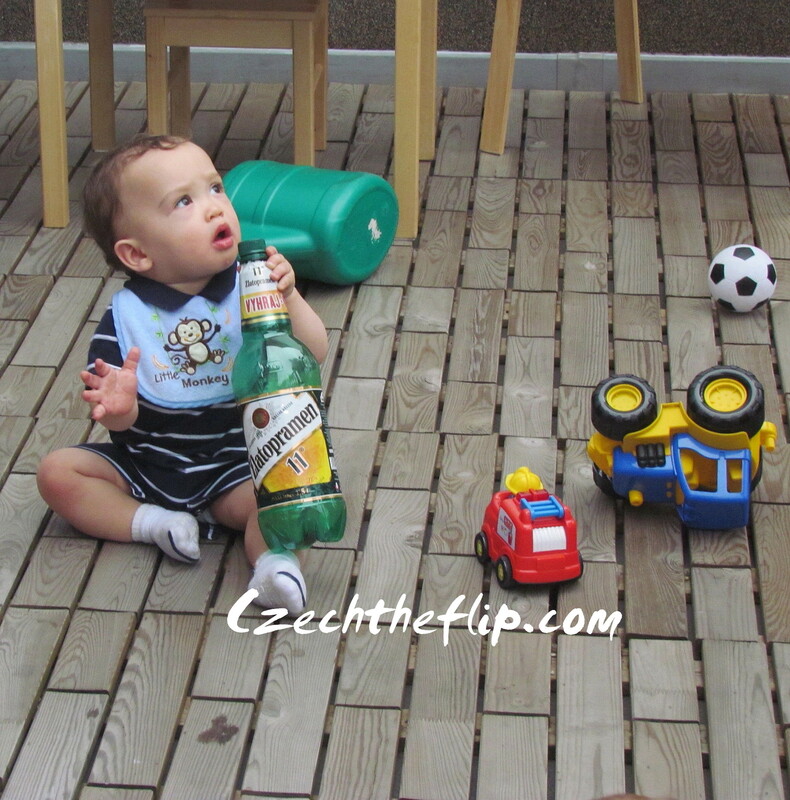 Inasmuch as Czechs like alcoholic beverages, there is a zero tolerance limit of alcohol for drivers in this country. Thus, brewers have to come up with this non-alcoholic variety. Before meeting my husband, I never liked beer. When we were still living in the States, and had parties with friends, I would drink it just to have something to drink. But now that we are here in the Czech Republic, and I have been introduced to all different kinds of beers, there is a growing fondness for beer in my palate. Thankfully, they have the non-alcoholic variety, so I can still enjoy it even now that I’m pregnant. If you are Czech and don’t like beer, please do share your story of your secret society. Because out of my two years of living here, I have yet to meet a Czech who has an aversion to beer. OMG! Thanks. Arhsee. What a small world. 🙂 I hope everything’s good. What a nice post! First time visiting your blog and I really enjoyed it. I’m from Brazil and beer is huge around here too and, like you, I was never a fan. I’ll stick to my good ol’ caipirinha (basically vodka + lemonade + other things). I’ll try to keep up w/ you now! Hi Thay! Nice meeting you here. Caipirinha sounds good. I think it’s great that you are so positive about moving into a completely new culture. Hope all goes well with the pregnancy.